720nm for indoor and weak light use. 850nm for indoor and weak cloudy outdoor light. 950nm for outdoor and strong light,such as summer time. Please set a custom white balance of your camera.The way to set different cameras may vary,please check your manual. 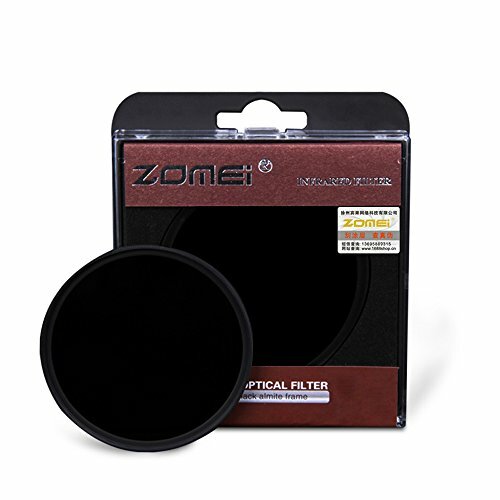 The exposure time is relatively long when using IR filters, a tripod is necessarily needed at this situation.We also suggest you to use a cable release in case shake happens. Hotspots are a relatively common problem with infrared. It is due to internal reflection of light inside a lens. Normal lenses have coated barrels to absorb light, but these coatings don't always work in infrared, causing these problems. 1.Hotspots can often be eliminated by changing the aperture. 2.Hotspots occur most often in the same type of shooting angles that cause lens flare. In this case, hotspots can usually be avoided by shooting away from bright sources of light. On converted cameras, the exposure meters still work based on visible light. This can occasionally cause some under or over exposure because the visible and infrared light of a scene may not be the same. Application: Nature, scenic, often used in crime detection, medical photography, detection of distribution of vegetation, etc. View More In Infrared Filters.